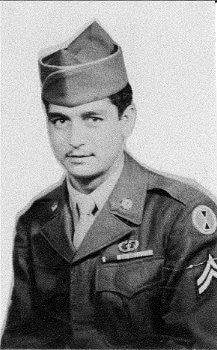 Dad joined the Army following his two older brothers, Chino and Felix, who had already joined the military and were serving overseas in the Pacific arena. After basic training, Dad was sent to Korea and participated and served in that conflict. He does not talk much about his service and combat there, but once in a while we are able to view all his photos that he has from that time and we are able to get some real insight as to his experience there. After returning home to Los Angeles it was not much longer that we moved to Lakewood where again dad followed his brothers plus his two sisters who each had already purchased their own homes here. Those were great times in the ‘70s as we grew up with all our relatives all living here in Lakewood. As of the the date of this writing we are still blessed to have dad with us and although he has slowed down a lot he can still manage to enjoy his glass of wine. He is still in his Lakewood home, located in its beautiful neighborhood with his great neighbors who, for the most part, are all still there too. We Love You Dad, You're our hero. Resident of Lakewood since 1972. Moved here because his mother, his two older brothers and two older sisters also earlier had moved here and all 5 purchased homes here in Lakewood. Note (January 24, 2018): Robert Alonzo reports that his father, Frank Alonzo, passed away on January 4, 2018.